Sometimes I wonder whether the city is painted orange and a free backpack provided to one in every ten people waiting at the traffic signal. So is the sight nowadays. India’s online food ordering sector is growing at 15% every quarter. 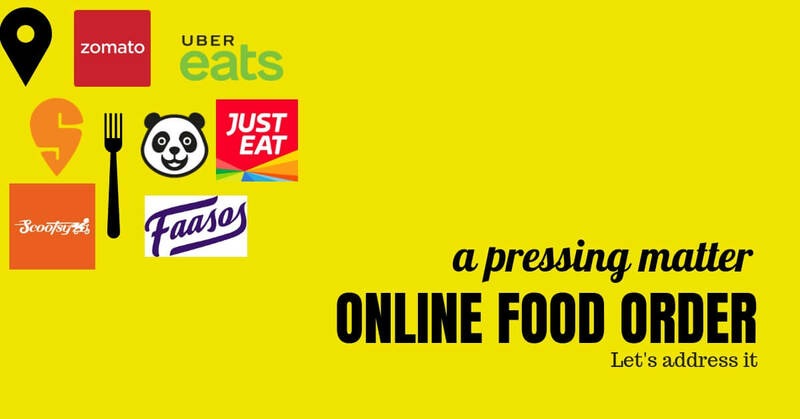 Definitely, the online food ordering initiative has revolutionised the food industry. It has made people think twice before planning to dine out. How has the online ordering system revolutionised the food industry? It’s been few years since the online food ordering system was launched. It has been steadily growing and proven to be a trend setter in the food industry recently. In this millennial world, where many move out of their homes and work in different locations, packed food from home is no longer an option. The easiest and most economical way to fill our stomach is to order through food apps right from our place. Currently, though a late entrant, Swiggy is the most sorted food delivery company in India. It has a large customer base operating over 9000 cities. A newbie, Uber Eats is known for its offers and cheap delivery charges. Zomato is appreciated for its good customer service support. An average of 400,000 orders are placed on a daily basis. No doubt that online food orders would be the future of food delivery. Nowadays people prefer to sit at home and relish the food instead of navigating through heavy traffic bearing the heat and then waiting in a queue. This may lead to losing customers. That’s where the third party delivery companies have highly benefited restaurants through number of ways. Through their service, they increase the brand visibility, boost sales and cut down the cost of maintaining an in-house delivery team. It also helps the restauranteurs to retain customers with integrated loyalty programs like sending personalised sms, emails, reward points etc. End of the day restaurants attract more customers than usual. With advent of online food ordering and delivering system, it gives an opportunity for restauranteurs to open cloud kitchen. Unlike dine-in restaurants, cloud kitchen involves low investment, less man power and less space. It guarantees high profit as it concentrates only on maximising the number of orders per day. With heavy competition prevailing among food aggregators, customers soak in discounts. Zomato, has been on a discounting spree over the last few months, to acquire customers and ramp up its overall numbers. Whereas Swiggy offers free delivery option thereby competing equally with its counterparts. Uber Eats offer the best discounts for breakfast and tastes like home cooked food. Hence customers get to enjoy their favourite and healthy food at a very low price. How do few misuse it? In contrast to how customers and restaurants welcomed this culture, recently complaints are pouring out from all sides stating the profit driven mindset of the food aggregators, customers and restauranteurs who find loopholes to cheat. Recently, the food aggregators are in the news for all wrong reasons. The company which started with low commission has slowly hiked the commission as well as introduced a lot of finger licking discounts leaving the restaurants to solely bear the brunt. Even worser, some companies charge for delivery from both the restaurant and the customers making a clear-cut win situation for the food aggregators. It doesn’t stop there! Having collected the customer data on the expenses of the restaurants, food aggregators have launched their own cloud kitchens. This has tested the patience of the restauranteurs. Adding fuel to the fire, recently a video has been going viral where a Zomato delivery boy sneaks and eats from a customer’s order. There is no guarantee to the restaurant and the customer that food prepared is delivered untampered. Restaurants play their part too! Few restaurants partner with food delivery apps until the discounts are borne by the food aggregators, dwell in the profit and then break their ties with them. When foodpanda started their service in India, they had the provision only to accept the order and the delivery was taken care by the restaurant itself. Few restaurants, ordered food through the app by themselves and marked it as delivered where in reality the food wasn’t prepared and foodpanda had paid commission for unprepared food. They eventually had to shut it down due to loss. And even some restaurants either reduce the quantity or prepare food at low cost for discounted products. Then what is the use of discounts? In order to enjoy the discounts, customers order food through the app even if they are standing right in front of the same restaurant. Some customers try to find ways to cheat. Once a group of friends ordered food through a food aggregator app and then came to know that the restaurant was closed. So the food aggregator accepted their mistake for displaying it in their portal and offered a gift voucher worth the same amount to order from another restaurant. These friends used this trick continuously until the company found it out. When customers are regarded as God, these acts questions the credibility. On one side as technology grows leaps and bounds, the other side ethics hits rock bottom. Among all the commodities food is respected the most. Let us not play spoilsport by not questioning the injustices! Let us work together, do our part for the larger benefit of the food industry! Subscribe to our mailing list and receive more insights and articles in your email inbox.